'' Robust Interior for a Great Hospitality '' Welcome to Packhus! Packhus Studio is a creative supplier of tables, chairs & lighting for interior & exterior spaces where you share life with others. It is the eclectic 'electricity' that we strive for. We are inspired by genuine materials & our industrial heritage. Sustainability in design we see as a responsibility. Private customers: check our opening hours. NOTE! WE HAVE MOVED! Packhus is in a real '' Packhus '' from now on. You'll now find our business in the old Årnäs factroy by lake Vänern. A beautifully laid out factory in a wonderful lakefront location, a stone's throw from Kinnekulle. Next to 1000 sqm of robust interior, we will expand with genuine building materials. Opening hours until further notice: Please book an appointment with us. Often we can open the gates on Fridays & Saturdays. 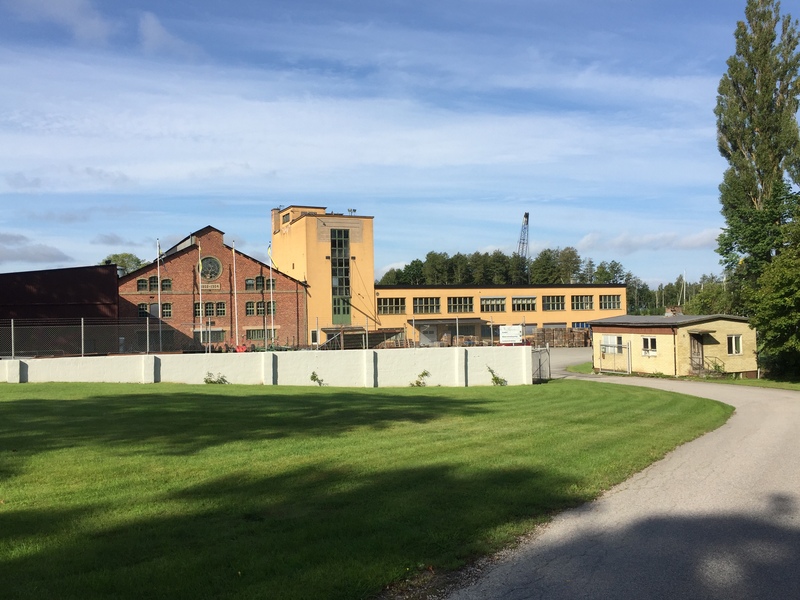 Welcome to our Old Factory where Packhus is situated today.